You are here: Home / Whatever Else / Happy Things / oh HAI…. 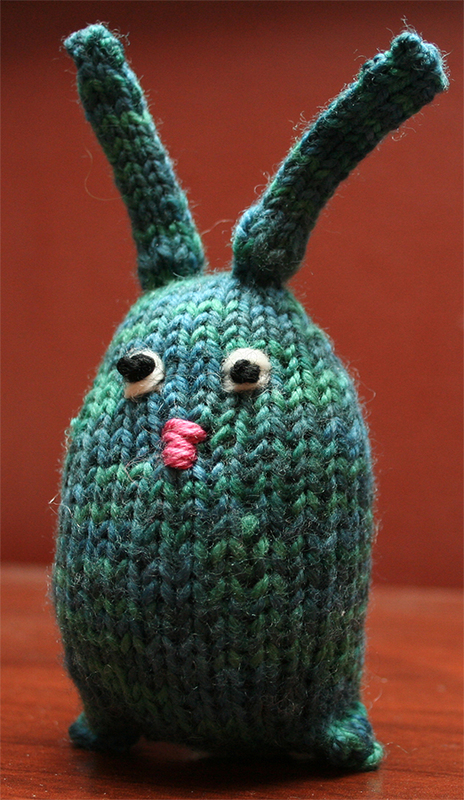 I needed some relief knitting the other night (finished! 2 pair of socks, one moose, and a hat. 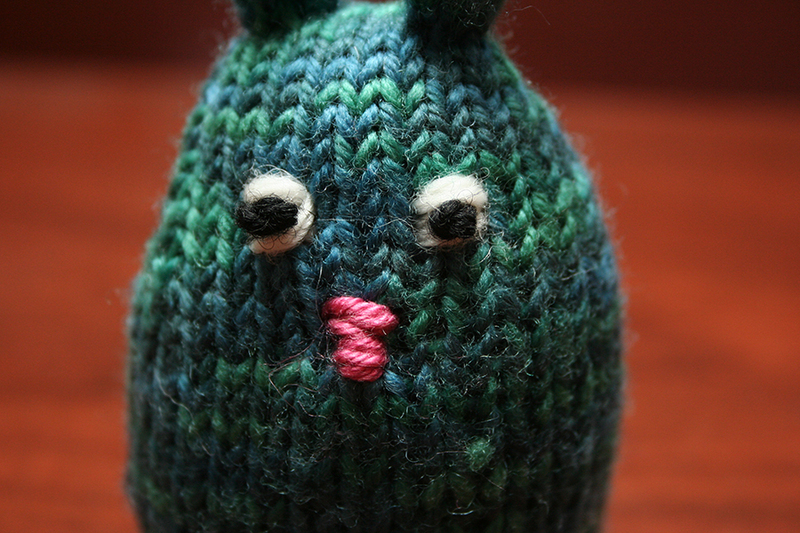 So much more to go…) and I decided to knit a nugget. As adorable as Mr. Nugget is, he doesn’t really fit my decor. 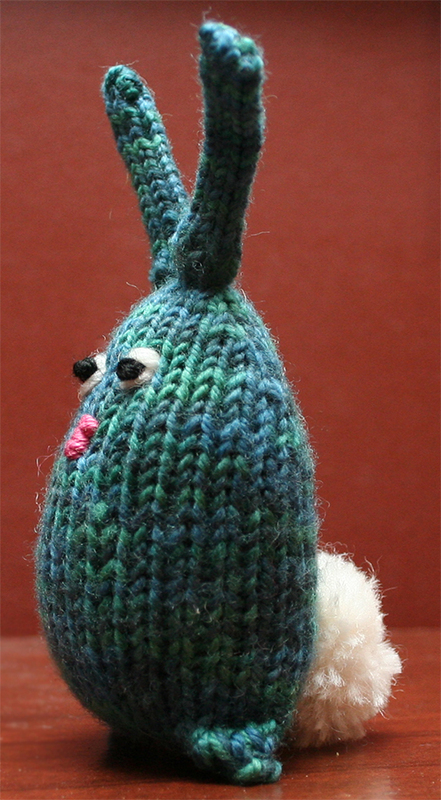 And I really had no reason to knit him other than I was watching mindless TV and needed something to keep my hands busy. Oh – two more views, just ’cause he has the cutest tail ever. And he’s 5 inches tall, in case you were wondering.